Sometimes applications could be expensive and others take a lot of time to install. Therefore, it is advantageous to have access to an online converter which does not require any installation. Most online converters are free, convenient and they do not require any registration for use. Using online converters saves time and it is safer for your computer. Besides, most online converters are compatible with every browser and OS and therefore you don’t have to worry about such aspects. If you want to get hold of FLV online converters, this article outlines 10 most widely-used converters together with their advantages and disadvantages. Zamzar is a free online converter which converts any audio and video file. It supports about 1200 conversion and you can convert any file to the output format of your choice. Zamzar supports conversion of video and audio files such as FLV, MOB, VOB, WMA, WMV, FLAC, OGG, MP3, M4A, MP4, MP2, 3GP, etc. the converter lets you choose the format which is supported by your media player and game consoles such as Xbox. 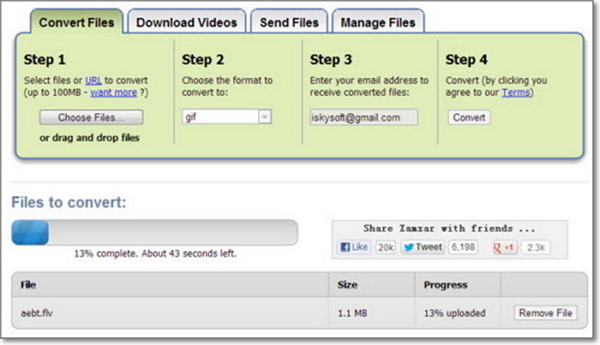 The tool has four simple steps; upload file> choose output format > enter email > Convert. Pros: It supports all file formats and it converts videos quickly. Cons: There is a slight quality compromise in the converted videos. Free Encoding is a free online converter which is safe and secure in that it does not compromise your file while converting it. It helps convert video files such as FLV, MP4, VOB, and many others. The Free Encoding helps you convert your files online and then you can save the converted files to Dropbox. Pros: It is absolutely free. Convert. Files is one of the simple-to use converter. It helps convert FLV files to MP4 and other video formats. The tool also helps convert audios files and different video files. For the conversion process, you just need to upload the file you are converting, indicate its input format, set the output format and then convert it. Pros: It helps conversion of videos even from the internet using their URL. Cons: The conversion speed might be slow as the file size increases. Online convert lets you convert any FLV video file and other file formats into the output format of your choice. 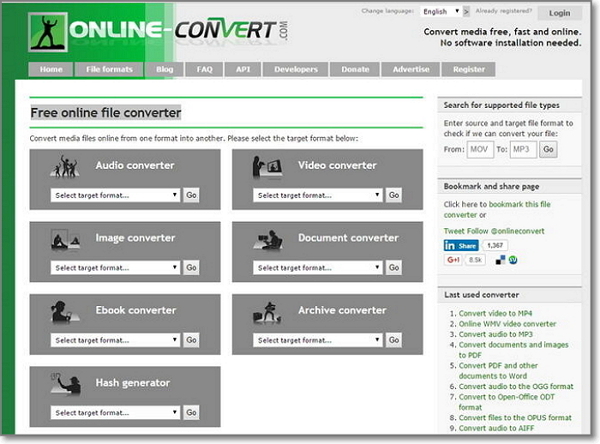 With the online-convert.com, you begin the conversion easily by uploading the files to the converter. Apart from converting the FLV files, it helps convert audios, images and video files. The steps conversion are three: choose the target format> choose output format > Convert. Pros: It supports almost every device and it can download video from any site. Cons: It has a file size limit of 100MB. Files-Conversion offers a free online service to convert FLV videos and other video formats. While using the app, you do not need to buy any software or install anything in your computer. You just need to upload the file that you are converting and the site will complete the task for you. Files-Conversion supports formats such as FLV, AVI, SWF, MPG, WMV, DV, OGG, 3GP, MPEG, GIF, MOV, MP3, WAV, DVD, and WMA. Pros: You can convert most of the standard formats with this converter. Cons: The conversion speed is average. ClipConvert is one of the popular online converters. It is also of the best free converter that will let you convert your FLV file with ease. The converter lets the users add audio and video files of different formats such as MP4, FLV, AVI, MKV, WMV, AAC, WMA, AC3, FLAC and others in batch. Users can also drag and drop the file directly to the converter. Pros: It acts as a video downloader to download videos through their URL and it also converts the downloaded file. OnlineVideoConverter is a free media converter that lets users convert video and audio formats to 17 formats. The file does not have any limitation on the uploading of files, the conversion or downloads. You can drag and drop the file that you want to convert thus ensuring a fast conversion. Besides, customize the conversion settings such as the video resolution. Cons: The supported file formats are limited. The free Online Converter helps convert almost any media file including the FLV file format. It supports conversion of FLV to files that can be supported by almost any media player including game consoles. Moreover, the conversion is free and you just need to upload the file that you want to transform. Pros: You can download the converted file from your email. Cons: The converted file is only stored for three days after which it is deleted. Convet2MP3 lets you download videos from YouTube and other popular sites and convert them to MP3 and other file formats such as MP4. With this converter, you can convert your FLV files that you have downloaded from YouTube, without any struggle. Besides, you can search the name of the video by artist or title and the converter helps you to locate the video with ease. Pros: It is fast, free and does not require any registration. Cons: You cannot upload or convert your own video. It only supports conversion of videos from the streaming sites. 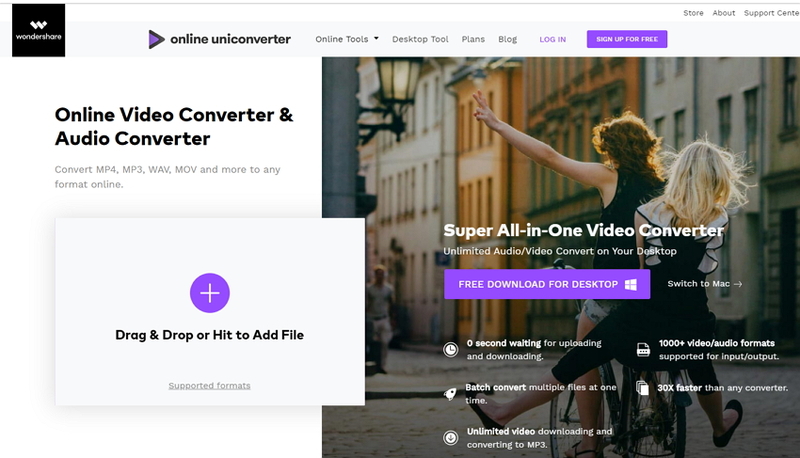 YouConvertit is a free online converter that converts a variety of audio and video formats. 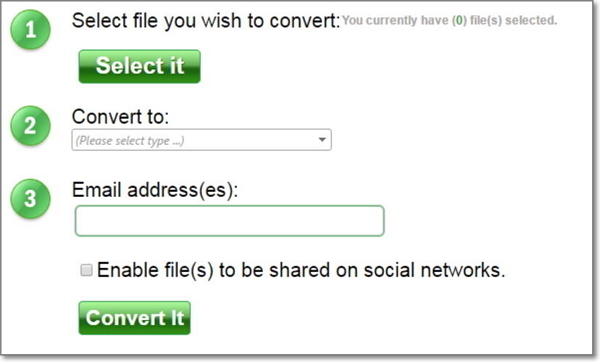 The conversion occurs in four simple steps where you upload the file to convert, choose the output format, enter the recipient email address and then convert the selected file. Pros: It supports many input and output formats, the supported files include FLV, MP4, MOV, AVI, ASF, MPG, SWF, MPEG, WMV, 3GP and many more. Cons: It has limit conversion size of 60MB per file.